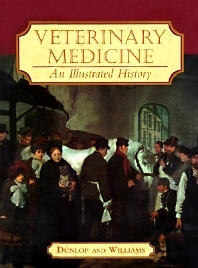 Veterinary Medicine: An Illustrated History is a comprehensive historical work focusing on three primary themes: the evolution of veterinary medicine, the role of animals throughout recorded history, and the unique human-animal bond. Largely organized by world regions, this book also includes chapters on specific time periods such as the Dark Ages and Renaissance, which heralded important strides in the development of veterinary medicine. This beautiful, illustrated account of the rich heritage of veterinary medicine includes 500 art pieces in a variety of media, approximately half in full color.